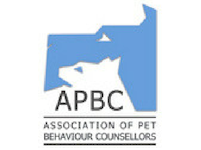 I am a full member of the Association of Pet Behavioural Counsellors (APBC) and am registered as a Clinical Animal Behaviourist with the Animal Behaviour & Training Council (ABTC). This may enable clients to claim on their insurance for behavioural help. For more information go to www.apbc.org.uk and www.abtcouncil.org.uk. Working with a professional cat & dog behaviourist is important to get real, long lasting results. I have a first class Post Graduate Diploma in Companion Animal Behavioural Counselling from the University of Southampton. This is one of the most prestigious qualifications in this field in the UK. For over 2 ½ years I studied dog and cat behaviour, positive methods in dog training, learning theory, welfare and ethics, the law, neuroscience and human psychology. I even got to train a goat! This all gave me the knowledge to qualify as a pet behaviour counsellor and dog trainer working with all breeds of dogs and cats. 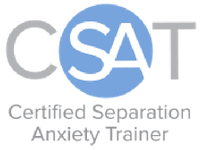 I since added to my knowledge by becoming a Certified Separation Anxiety Trainer (CSAT) having studied with the world renowned separation anxiety specialist Malena DeMartini. This is a behaviour issue that I am passionate about. Because of the unique way of working remotely I am able to help dogs and their owners anywhere the world. I am also a qualified canine remedial massage therapist with a first class diploma from the Institute of Complementary Animal Therapy. This has given me an in depth knowledge of how pain can affect a dog or cat’s behaviour. 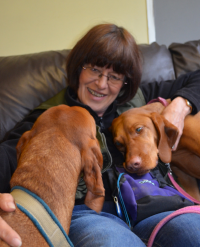 Having had dogs and cats all my life I now belong to a beautiful Hungarian Viszla called Lexi. I am passionate about helping to resolve the behaviour and training problems that cats, dogs and their owners face helping to turn their lives around so that the whole family can live together in peace and harmony. Beware of anyone offering a ‘quick fix’ or anyone who guarantees their work. Behavioural problems often develop over a period of time and take time to resolve. It is not ethical to give outcome guarantees because animals are not machines. There are too many variables involved in behaviour modification. Success depends on hard work, commitment and patience by the cat & dog behaviourist, trainer and owner. What I do guarantee is exceptional service, a customized approach to each owner and their cat or dog, a commitment to excellence and to ongoing education. Additionally I adhere to modern force free methods and total support during the time that we work together and beyond. I will spend time and effort in getting to the root of the problem, understanding the individual animal and needs of the owner. From there, we develop a tailor-made treatment plan that suits both you and your pet. What qualifications should a Cat & Dog Behaviourist have? Always ask and verify the qualifications that a behaviourist says they have. 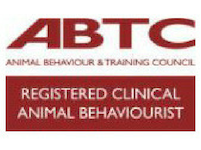 Good professional behaviourists will have the equivalent of a university qualification (often at post-graduate level) and will practise using sound scientific knowledge based around the most current and ethical techniques. They will be members of organisations such as the Association of Pet Behavioural Counsellors (APBC) and be registered with the Animal Behaviour & Training Council (ABTC) which requires strict codes of practice. However, as this profession is unregulated in the UK, anyone can claim to be a behaviourist. Taking advice from unqualified people can result in little or no resolution of your problem or even make things worse, sometimes with tragic results. There is a vast difference between someone who has done a 5 day behaviour course and someone who has spent years studying for an accredited academic qualification. Personal experience, although important, is not a qualification – having children does not automatically qualify someone as a child psychologist in the same way as having a dog or cat does not qualify someone to be a behaviour counsellor or dog trainer! READY TO WORK WITH INGRID? If you are thinking about approaching a behaviourist I highly recommend Ingrid. Her expert knowledge and understanding of my dog’s behaviour and my relationship with him was outstanding. I was amazed by the in depth and comprehensive report that followed our initial consultation. Ingrid’s calm manner and direct approach was invaluable. Whatever Ingrid advises by way of toys, treats, training aids etc is thoroughly researched. Ingrid has given me confidence to go on to become a calm and happy owner of a happy and confident dog.